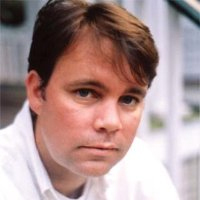 Scott Brinker is the co-founder and CTO of ion interactive, a SaaS provider of marketing software. Brinker also writes the Chief Marketing Technologist blog and is the conference chair of MarTech: The Marketing Tech Conference. The inaugural conference, which is being held August 19-20 in Boston, is sold out. The next edition is slated for San Francisco, March 31-April 1 of next year. In this Q&A, Brinker discussed how the rise of digital technology has transformed the role of the marketing department. LinkedIn: Compared with five years ago, are marketing departments hiring different kinds of people? Scott Brinker: Clearly, this does depend a lot on the size of the organization and what sort of market you are engaging with. The primary difference from where marketing is at today versus five years ago is software and data. You need someone on the team who is intuitively comfortable managing the software, helping in configuring and operating it, helping the rest of the marketing team really leverage it for all it is worth. On the data side of this, at some level everyone in marketing needs to increase in their proficiency with using data. Not everyone needs to be a data scientist, but collectively in the ranks of marketing, you should have this capability to keep up with the changes in the digital world. LinkedIn: In your blog, you write about the marketing technologist’s role. How critical is that role in helping IT and marketing work together? Brinker: It is incredibly critical. Almost all of the interactions and touch points that marketing has with prospective customers are now mediated through software. The customer-centric nature of these technologies goes far beyond traditional marketing. These touch points orchestrated by marketing software are the engine of front-facing customer experience. This is becoming part of the operating system with your organization as a whole. It connects into sales; it connects into customer service; and it connects into how we are evolving our product and service delivery lines. Companies still need an IT function serving as the centralized governance authority and managing centralized infrastructure. But at the same time, marketing must proactively synthesize technology into its strategy and operations -- to really understand how to apply technology in the service of brilliant marketing. And that’s where these marketing technologists shine, bridging marketing and IT and helping them collaborate more effectively. LinkedIn: How difficult do you think it is for marketers to keep pace with the changes in technology available to them? Brinker: The pace of change in marketing today is breathtaking, especially compared with 10 years ago. And it only seems to be accelerating. Software for marketers is continuing to advance at a pretty spectacular clip. It’s a big challenge, because you have to find the right tools, and you have to learn how to use them. But these tools do help marketers do a better job of operating in this new world and leveraging data to turn it into insights. But we have a hard time changing. The longer an organization has been around -- and the people and the culture and the politics -- the harder it is to make these changes. These are hard questions: How should you manage this? What is the organizational structure for how to best operate in this new marketing world? And how do you help people with the human aspect of making all these changes happen? Keep up with your ever-evolving industry by subscribing to the LinkedIn Marketing Solutions blog today.